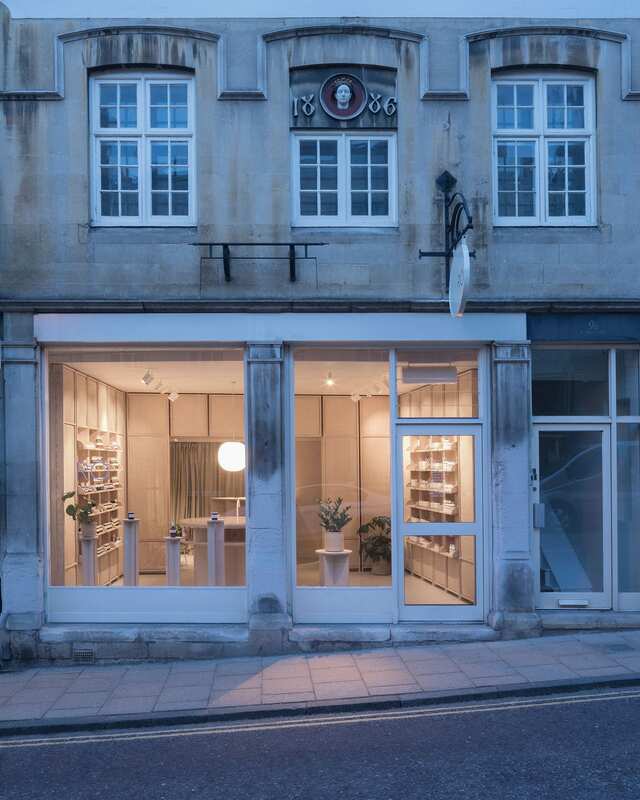 RÖ Skin have opened a new store and treatment room in a medieval building within the historic town of Stamford in Lincolnshire in the north of England. 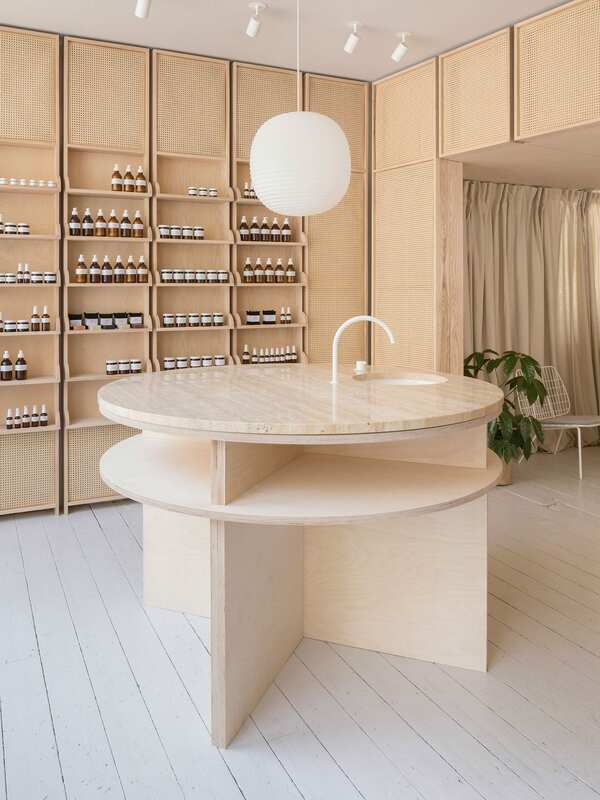 Set among quaint tea rooms, the new beauty space has been designed to resemble a traditional apothecary by London-based O’Sullivan Skoufoglou Architects. 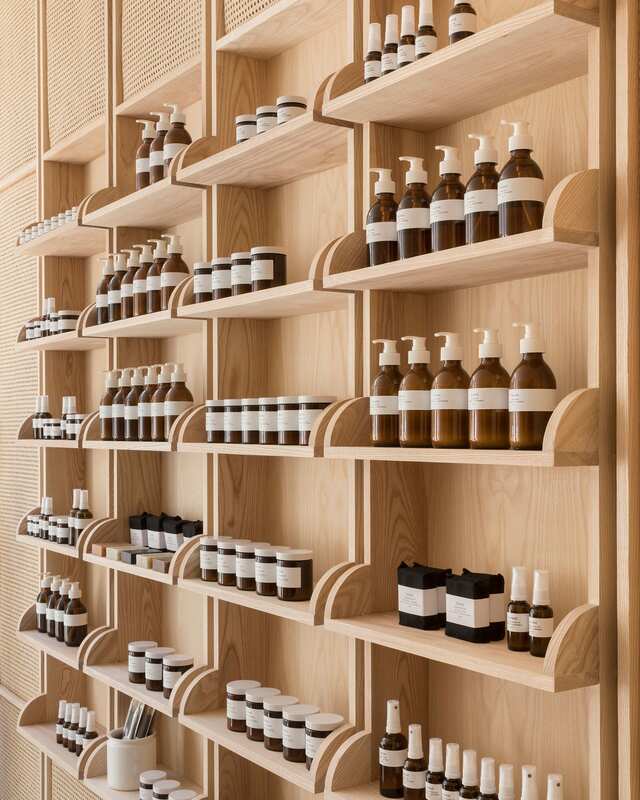 It’d be easy to liken this new sanctuary to a sprinkling of serenely designed Aesop stores, but the space is warm and distinctive in its own right—respecting its medieval roots, its country town locale, as well as the skincare brand’s clean-label aesthetic. 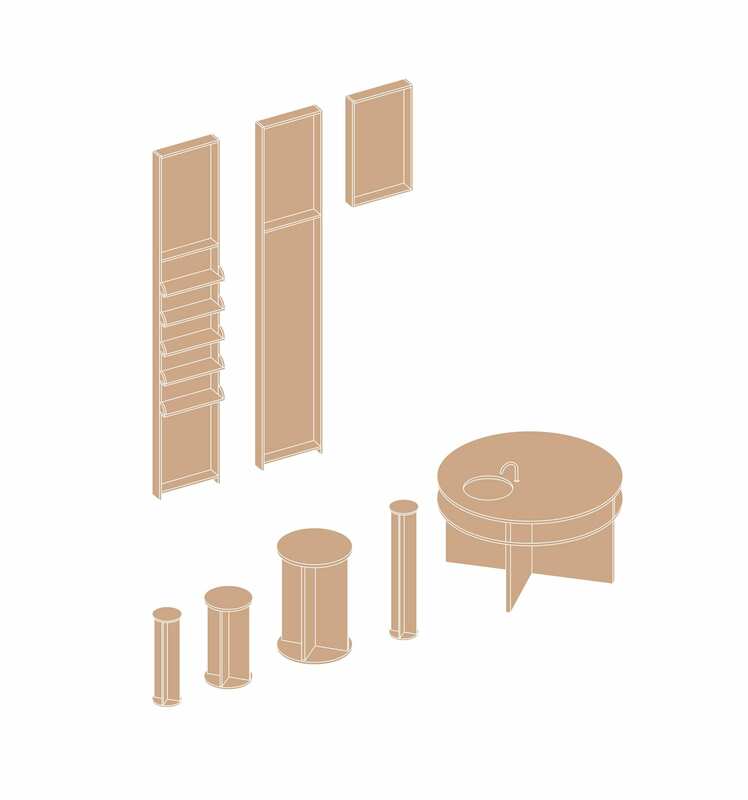 The new layout was informed by the existing structure of the space. 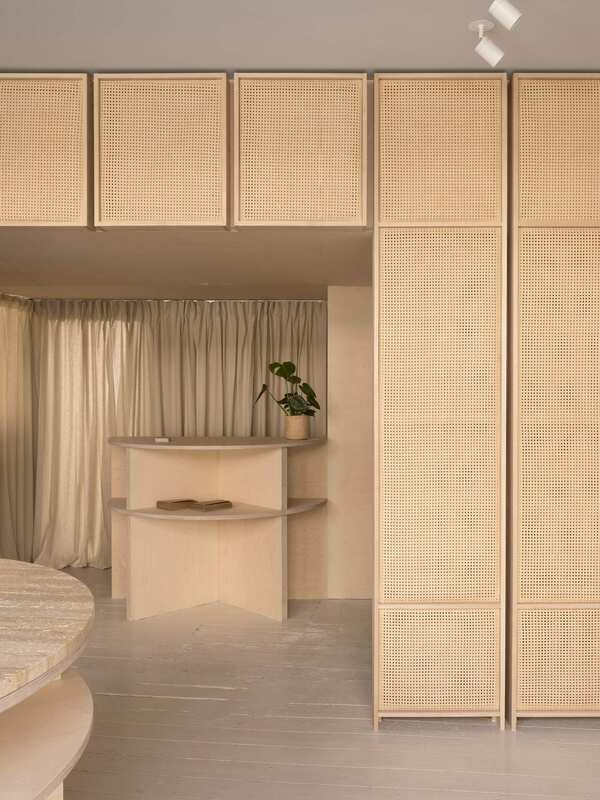 A framework of bespoke ash and cane mesh display units wrap around the front room, displaying the full suite of RÖ Skin product, while also acting as a screen to treatment rooms towards the back. 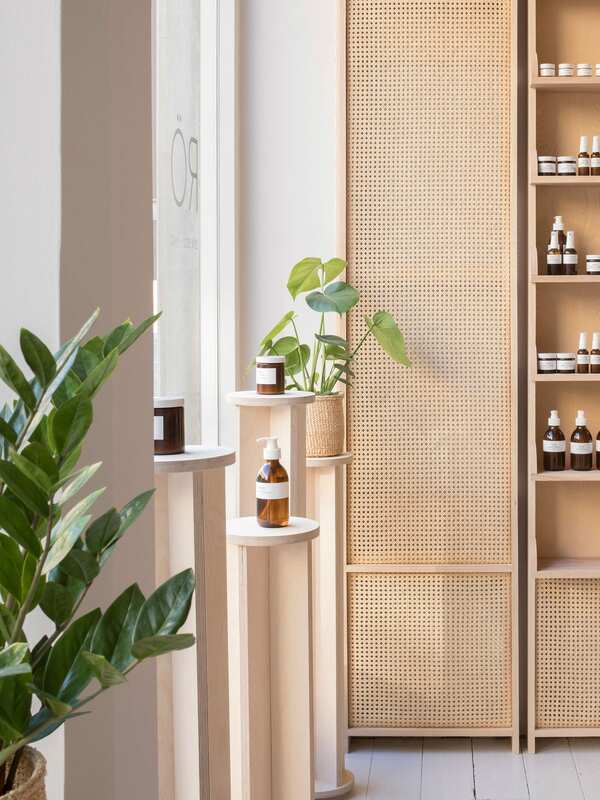 Mesh allows light to filter through into the space but is also a reference to iconic Stamford woollen mesh known as Haberget, which was produced during the Middle Ages. 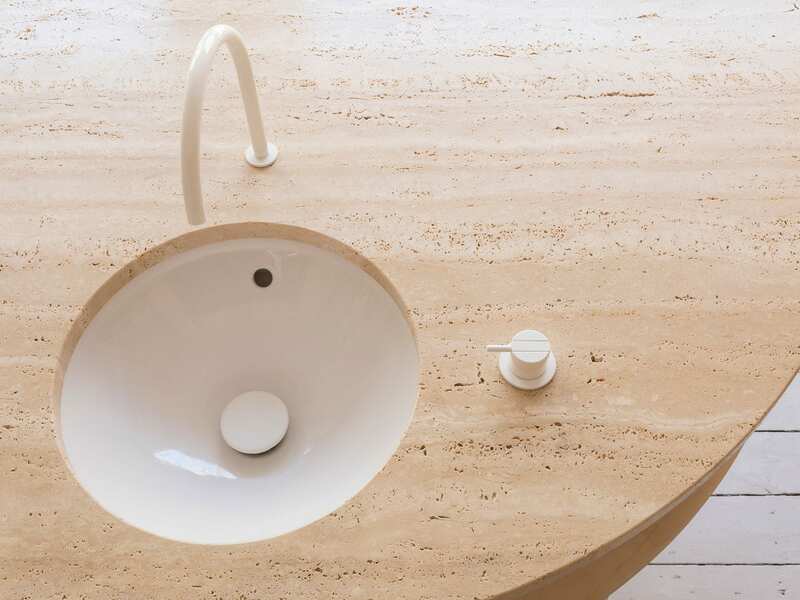 Visitors to the store are encouraged to sample and try out RÖ Skin products at a large, cream coloured travertine-topped sink counter. 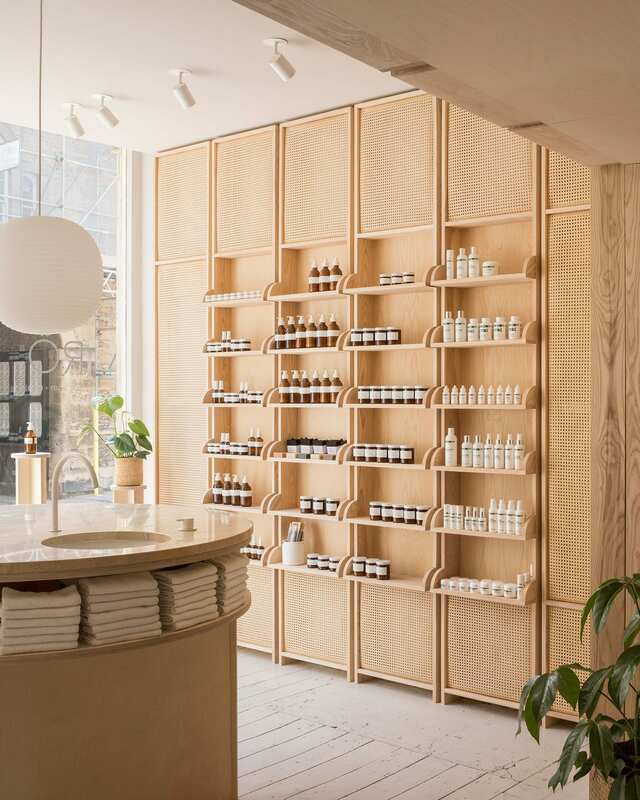 High ceilings have been emphasised by a lower ceiling over the counter. 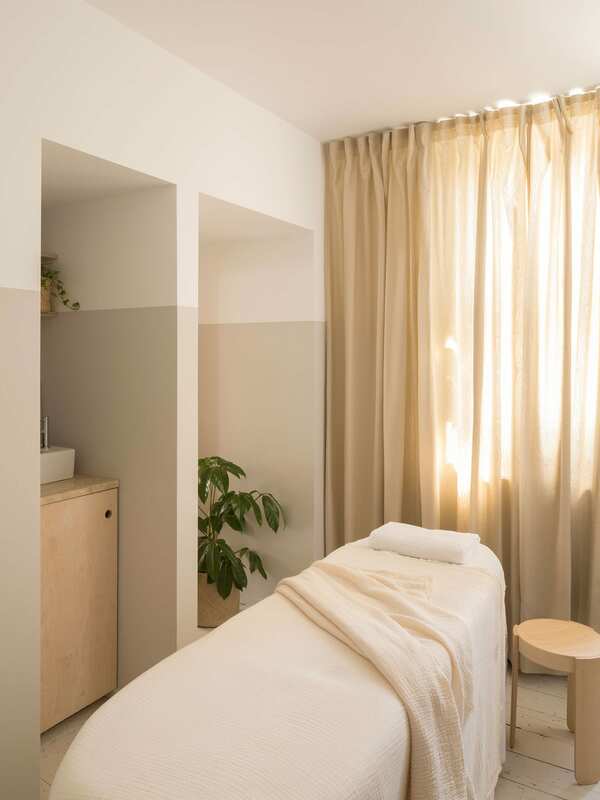 Among the treatments on offer are facials and facial massage, brows, lashes, reflexology, and something called a Bioslimming Body Wrap. 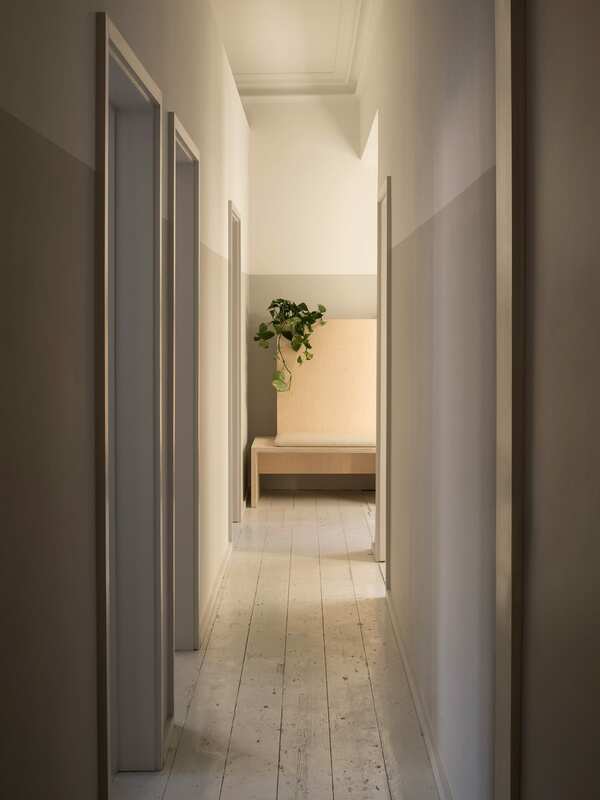 The three treatment rooms have been aligned with windows along the boundary wall so they can be flooded with natural light. 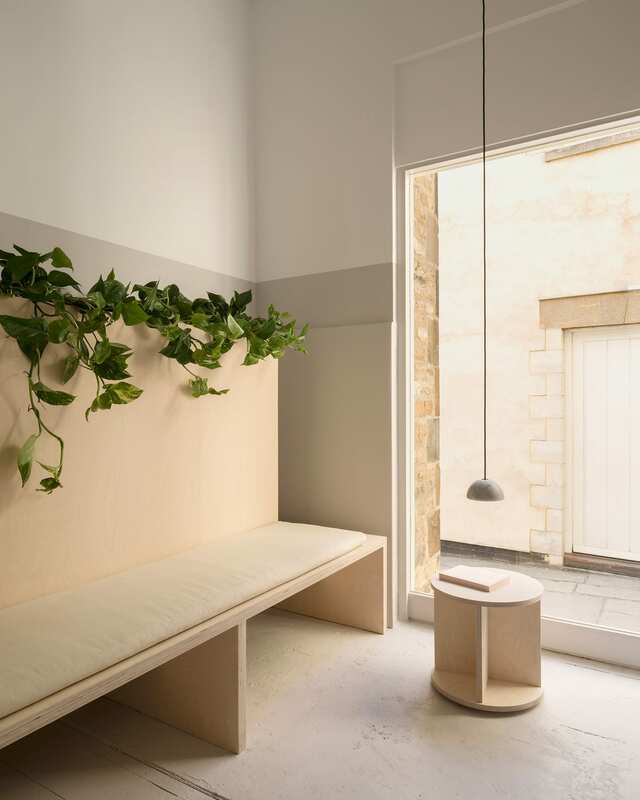 The look at feel is kept modest and clean with a palette of birch, plywood, linen curtains, ivy vines, and a painted dado rail. A waiting room looks out onto the historic stone arch passageway of St Mary’s Hill. 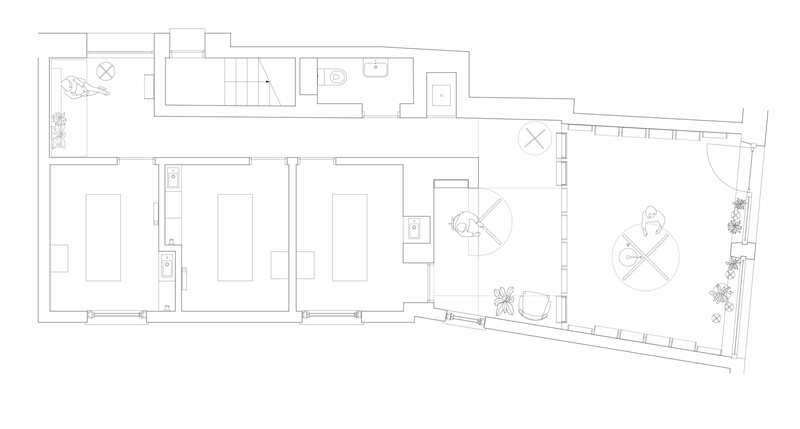 Related: O’Sullivan Skoufoglou Architects’ Extension to a 1970s London House. Red Deer Architects Design Mid-Century Pasta Restaurant for London Institution Lina Stores.